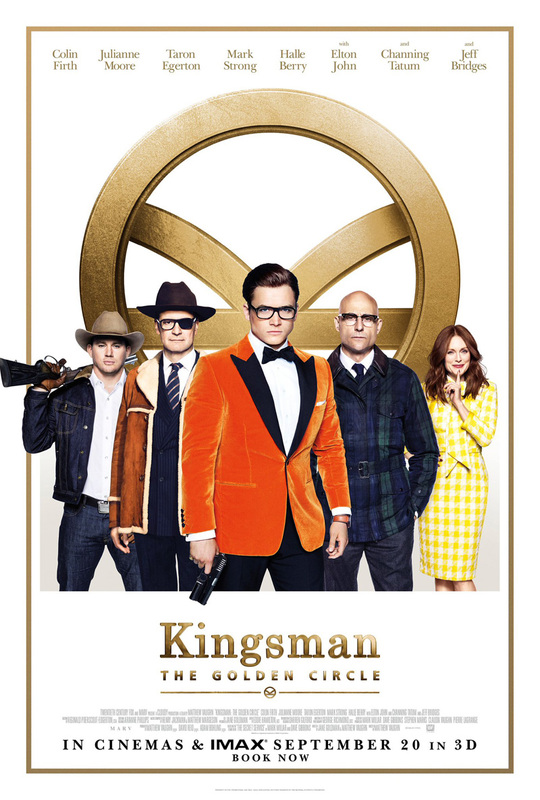 Kingsman: The Golden Circle is your traditional Hollywood sequel. It’s another does of the same with some variety and a new story. If you liked the first movie, you’ll probably like this one. It’s an action movie that likes to get crazy but keep it fun. It’s enjoyable, but nothing groundbreaking. There’s a couple things you should probably know before going into the film. Number one – Jeff Bridges and Channing Tatum both play very small roles in this movie. Pedro Pascal, the other cowboy in the trailer, gets most of the action scenes involving the Statesman. Pedro does a great job with his role, but I was surprised at how insignificant a part Channing Tatum had in the movie. Julianne Moore has a significant role as she is the main villain of the story, but it’s a very different take on a villain as she plays almost a 50’s motherly villainess. It’s cooky and creepy. Mark Strong also has a significant part, but the two main stars are definitely Taron Egerton and Colin Firth. As shown in the trailer, someone attacks the Kingsman and wipes out their organization. In order strike back at the attackers, the Kingsman join up with the American version of their organization, the Statesman. So you get James Bond spies fighting with cowboys and cowboy technology with lots of over the top action scenes. There’s a good bit of humor, some fun characters, and a few emotionally gripping parts that touch into the well of drama. It’s a nice little action flick. That said, it’s not the greatest action flick. It doesn’t reinvent the genre. There’s some re-watchability, but it’s not something you’re immediately going to want to see again. Personally, I won’t be adding this one to my movie collection. In the end, if you really liked the first movie and you want to see how the story continues, you’ll want to watch this one. You don’t necessarily have to see it on the big screen, but you’ll want to catch it at some point. If you didn’t like the first one, you’ll want to stay clear of this one as it’s nothing drastically different. And for those who are wanting to go out and see an action movie, this one will scratch the itch without being a waste of money. I give it a three out of five metal bikinis.